Credit can be like a drug. It can become addictive, create dependency, and waste resources. In 1932, no one seemed to know this better than Garet Garrett. In A Bubble that Broke the World, Garrett explains the errors that led to the international post-war credit bubble that caused the world-wide depression. As Garrett explains, three different ideas brought on the international bubble. They are: 1) the belief that credit is a cure-all for debt, 2) the idea that people are entitled to certain betterments of life, and 3) prosperity is a product of credit. These ideas led to an extension of over $15 Billion of American credit to foreign countries from 1917-1932. America supplied credit to Germany to pay it’s war debts to the rest of Europe who then turned around and paid America for their own debts. The U.S. government paid itself through its credit to Germany. 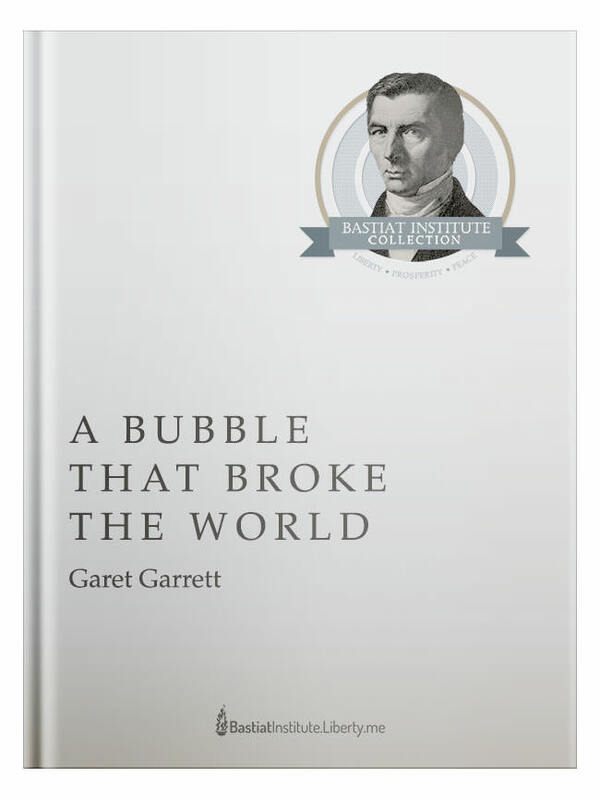 Garet Garrett was one of the first people to see how debt caused the international crisis. This is a classic; a must-read for any student of American history. Lucy senses a disturbance in the force. Join Ms. Steigerwald and her bevy of guests — Josh Patton, Joe Steigerwald, Olivia Ashley, Todd Seavey, and Matt Gilliland — to force-choke your way to freedom. J/k: Wars not make one great. Eye on the Empire is Liberty.me’s flagship foreign-policy show. Join Scott Horton and Jeffrey Tucker to discuss the current state of affairs in U.S. foreign policy. Bring your questions and we’ll take them on.